Is a Label Deal Happening for Adam Lambert? You are here: Home / More Featured Posts / Is a Label Deal Happening for Adam Lambert? 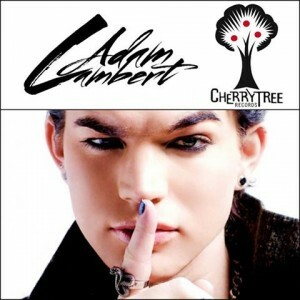 The tweets starting appearing and rumors are flying that Adam Lambert will be signing a new label deal with CherryTree Records. That was answered by the artist herself. Unless Jessie Ware is somehow related to the Lamberts, it certainly sounds like she may have let a cat out of the bag! Jessie may just be referring to her personal family loving Adam. I hope not, because this label would be great for Adam! I wish she’d tweeted “We love having you in our family” or “my family loves you”, so it would be clear, but it’s Twitter, and people aren’t always precise. Who exactly is the “we” in “we love you in our family”? I’m leaning towards a personal family, not a label. So, I’m just speculating here. Adam may be waiting to make a deal after the response to a Lay Me Down single, which may happen after the album TRUE is released. Who knows if Adam already has something in the works, is about to reveal a new deal, or is pacing back and forth in his living room wondering with whom and when it will happen? The music industry is an extremely competitive and volatile business. Many of the best artists out there are unsigned and we’ll never hear them. Thank goodness for YouTube so we get to discover and hear new and established artists who may not have deals. But it’s a double-edged sword, flooding the marketplace with more bands and singers to compete with. And on that note, please forgive me but I’m going to ask for a tiny bit of help from you all for something not related to Adam Lambert. In light of the discussion in the previous paragraph on how tough it is today for talented musicians to make it, Lila and I have discovered a British band we love and support, called The Feud. We saw them twice in clubs in LA when they came here in early 2013 for studio work, and fell in love with their live performance. They are fighting like crazy for a record deal while they work on their second EP, and are in a contest to be added to a show in England. The top two vote-getters win. Right now they’re 16 votes away. Wouldn’t it be incredible if all 17,000 of you did this?! We are famous for our support, right? All you have to do to help them is two clicks. 1ST CLICK HERE: to go to the voting page. Then click next to their name, The Feud. That’s it! You can only vote once, so it’s really quick! Voting is closing sometime Tuesday, UK time. Will you please help us and support them with a vote as soon as you read this? Thank you Glamberts! Lila and I think a common thread that joins us is our love for supporting musicians and discovering new music. After voting, listen to one of their songs, It Ain’t Right. Then, let us know what you think. No, they don’t sound like Adam Lambert – there’s only one of those! They have a great electronic rock/pop sound with an incredible driving beat! Sounds great. They are like Fun only more rock than pop. Great voices and musicianship. Sorry, but I just see how Adam fits in the CherryTree stable of artists. That being said – I hope that he doesn’t sign with a label for the time being, yet…. it would be interesting if he creates his own instead… hmmmmmmmm. Sorry, but I just don’t see how Adam fits in the CherryTree stable of artists. That being said – I hope that he doesn’t sign with a label for the time being, yet…. it would be interesting if he creates his own instead… hmmmmmmmm. ditto for me, can’t see the connection with Cherry Tree……what’s he going to do invest in an orchard….!!! The Fued are tops….hope they get to come to Australia…. Well, I’m sure Adam will make the best decision for himself… he always does, right??? And I’m in love with The Feud!!! The more great music out there the better!!! Wait, I just saw that STING is signed with Cherry Tree http://www.cherrytreerecords.com/profile/Sting!!! WOW!!! Also Tokio Hotel which I swear I heard about through Adam. And look at their tag line “Give me life, liberty and pop alternative music” http://www.velvetmartian.com. I don’t know much else about them, but it sounds like a great fit to me!! !